Society of Evangelical Arminians | Pinnock. Clark H.
The following essay first appeared in Clark H. Pinnock (ed. 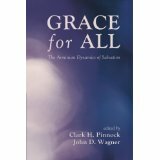 ), The Grace of God and the Will of Man (Minneapolis: Bethany House, 1989) pp. 15-29. This version does not include the endnotes from the original….